Safe Money Radio hosts are experts in no-market risk retirement planning and provide their clients protection of principal, guaranteed growth, and guaranteed lifetime income that you can never outlive. With almost 100 radio hosts nationally you can be sure a local no-market risk specialist is available to help you. Click on the link in the banner above to request a free financial evaluation and consultation by your local no-market risk radio celebrity. How to Invest Your Hard Earned Money - Keeping it Safe from Losses, Fees, and Inflation. 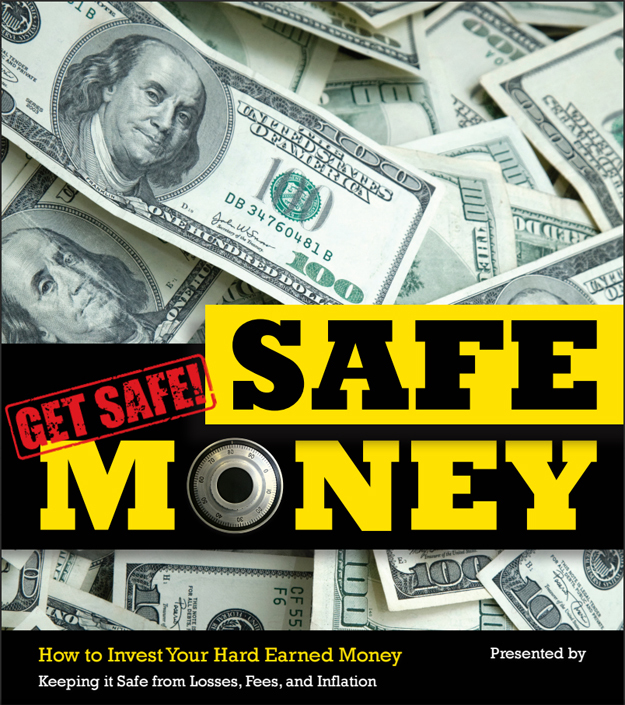 To obtain a free copy of your "Safe Money" book, simply fill out the Safe Money Radio form. Anything on this website does not represent tax, legal, or investment advice. Surrender charges apply to base contracts. Optional lifetime income benefit riders are used to calculate lifetime payments only and not available for cash surrender or in a death benefit unless specified in the annuity contract. Fees may apply. Guarantees are based on the financial strength and claims paying ability of the insurance company. It is important that you read all insurance contract disclosures carefully before making a purchase decision.